Adele has been a youth librarian for 20 years. 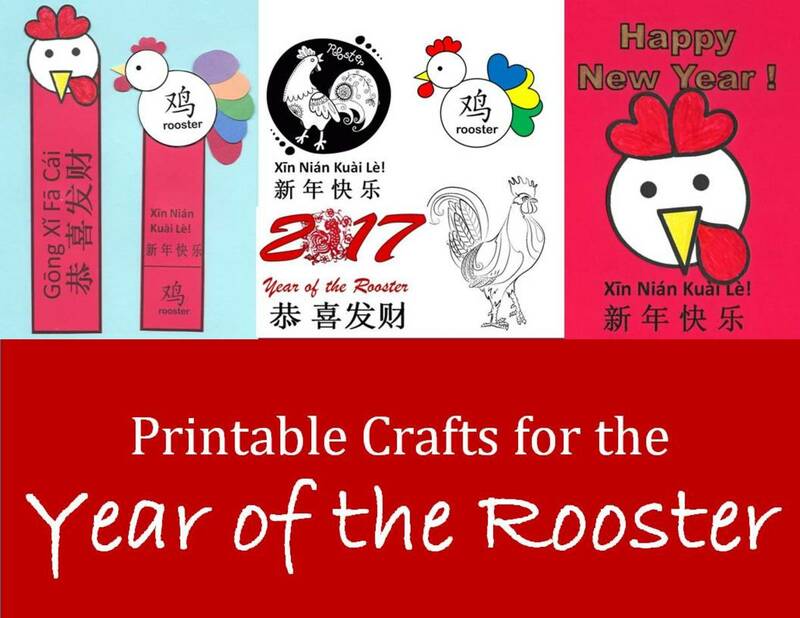 She has learned lots about making crafts easy and inexpensive. 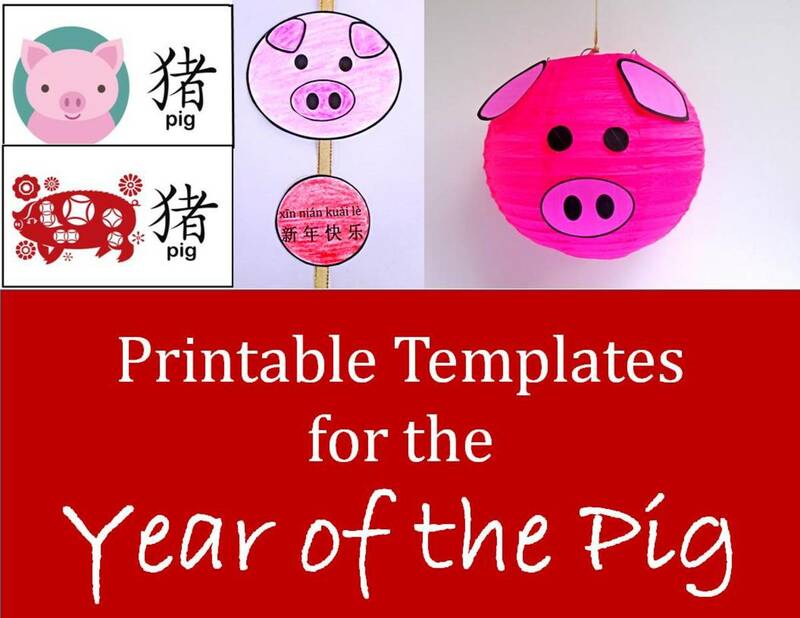 Here are some quick craft ideas for the Year of the Dog in the Chinese New Year zodiac cycle. 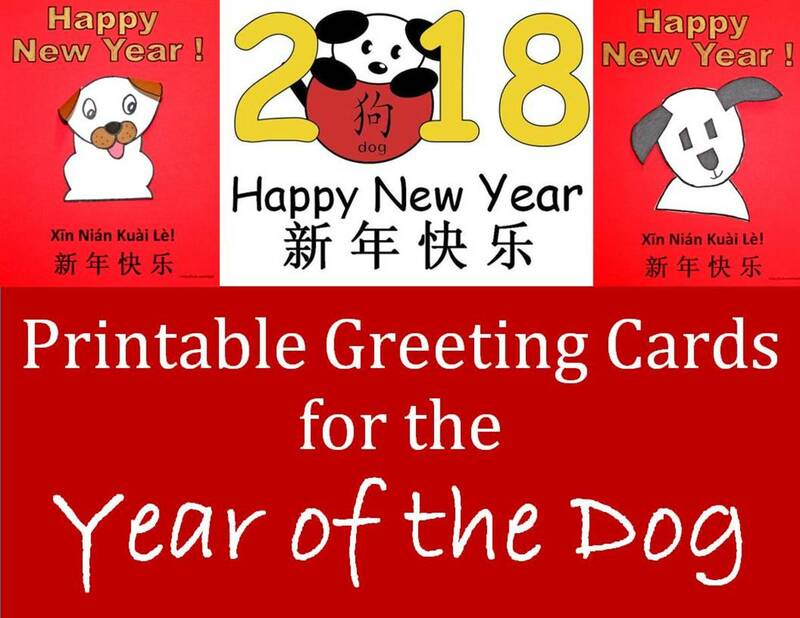 The dogs here use simple shapes that will be of use to teachers, parents, and librarians who are putting together craft programs for preschoolers or elementary school children. 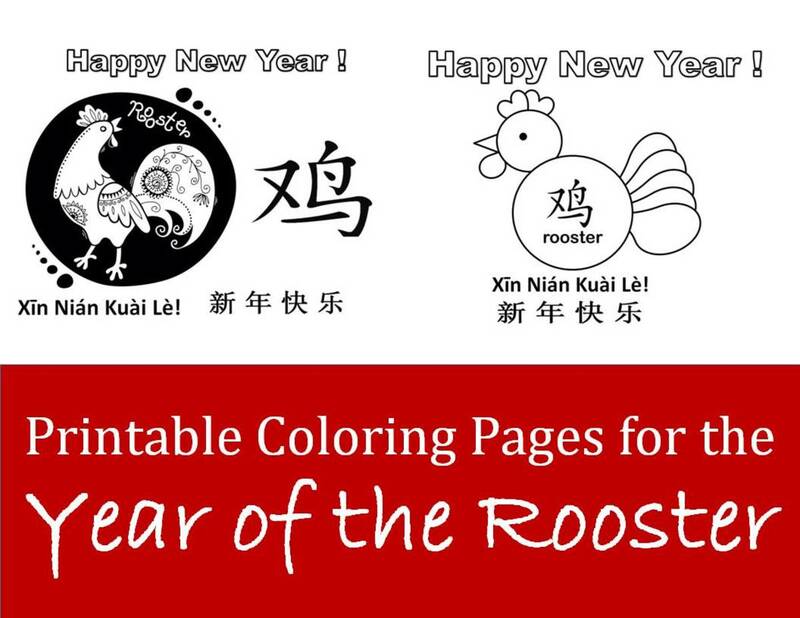 I also have some related articles for coloring pages or greeting cards or red envelopes, bookmarks, etc. Paste it into any program that can deal with photos, like Word or Publisher. 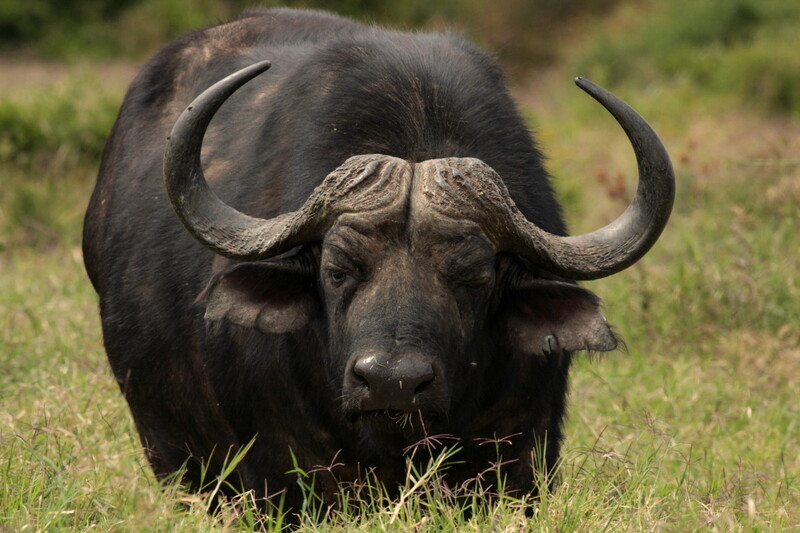 That way, you can enlarge or minimize the image as you need. 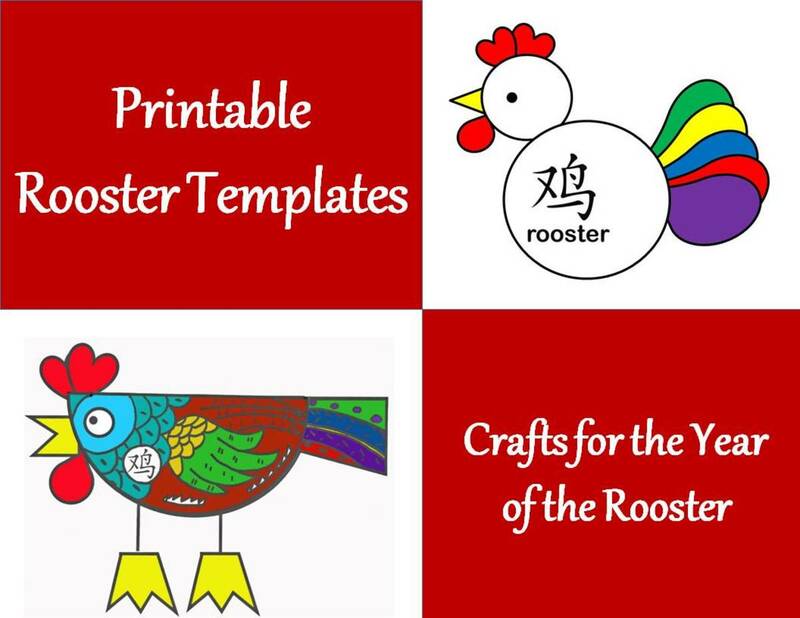 See the bottom of the site for ways to use these patterns in greeting cards or on bookmarks. 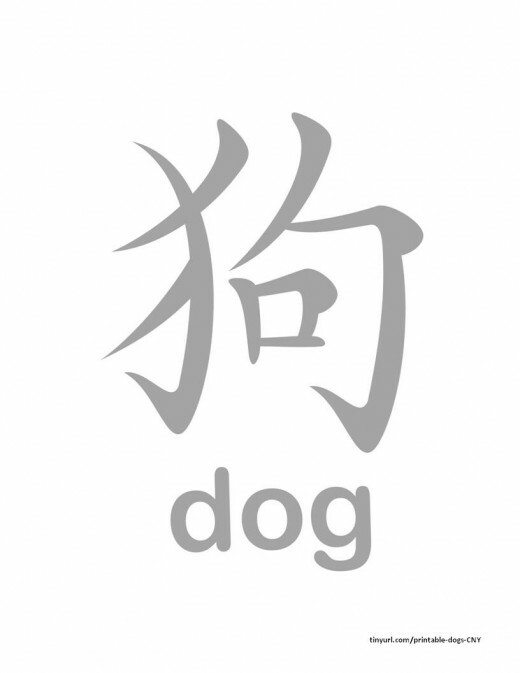 Below is the Chinese character for dog. 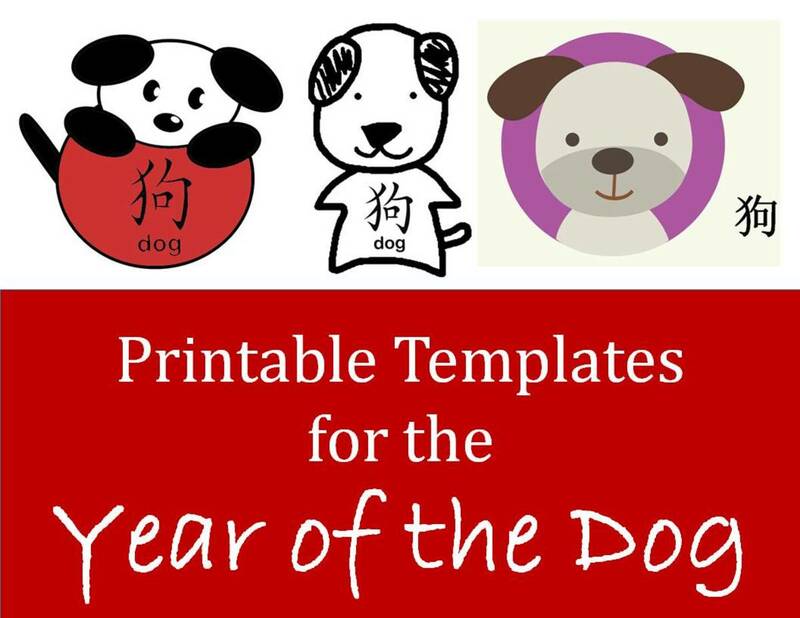 You can paste it into any graphic you're doing, or just print it out for the children to use. 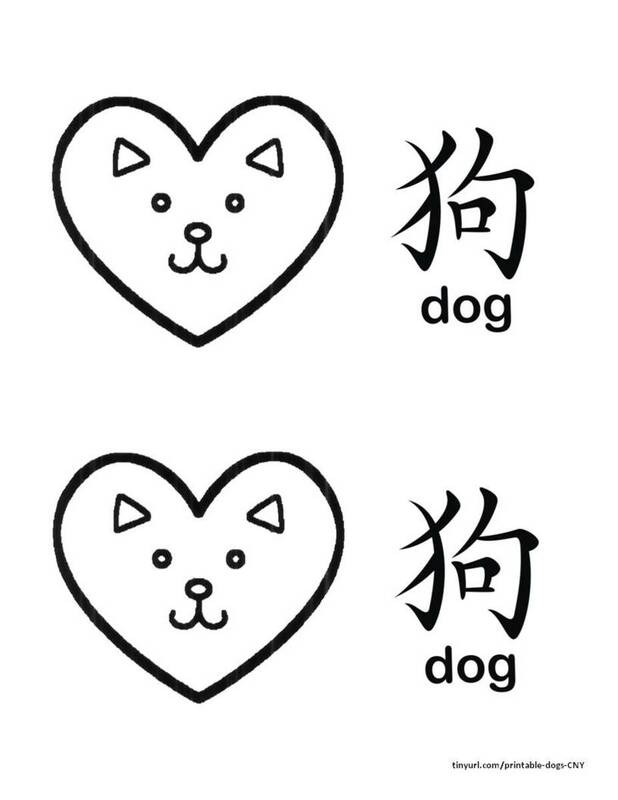 They can put it next to any pictures of dogs they draw or cut from magazines to help them know that this character in Chinese means the same thing as the letters d-o-g in English. 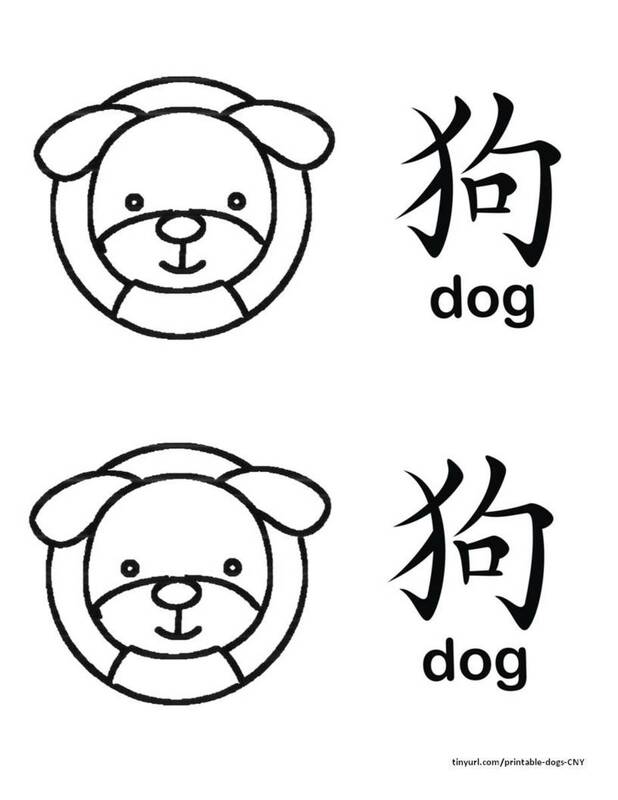 If you want the children to know what it feels like to write the character for dog, you can have them trace this character which is printed lightly on the paper. This little video shows them the order of the strokes and includes how to pronounce the word. 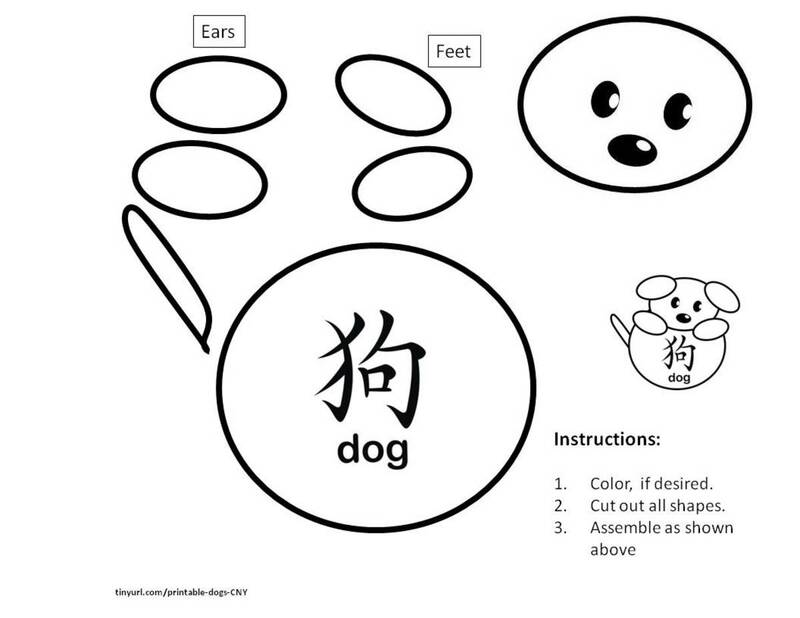 The next two sheets include a picture of a dog, and then characters to trace. 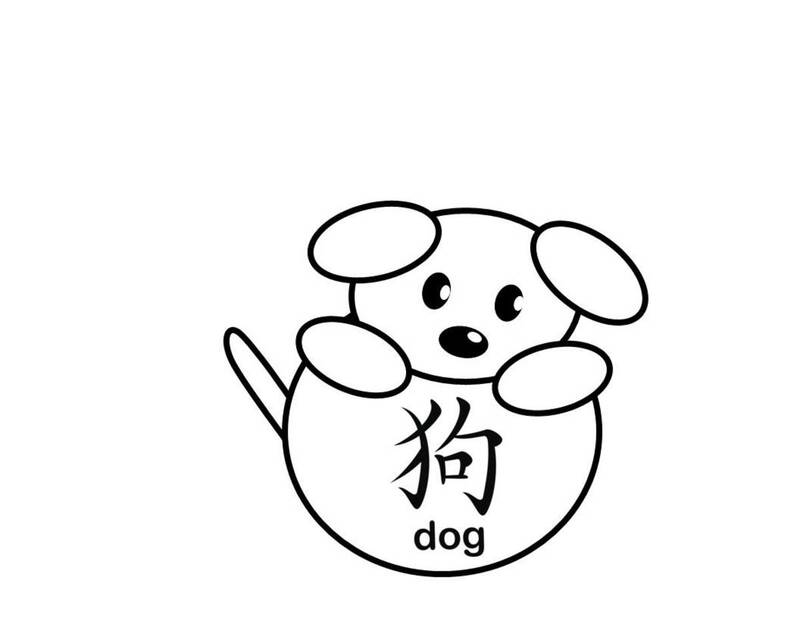 Here is the Chinese character for dog enclosed in a circle. 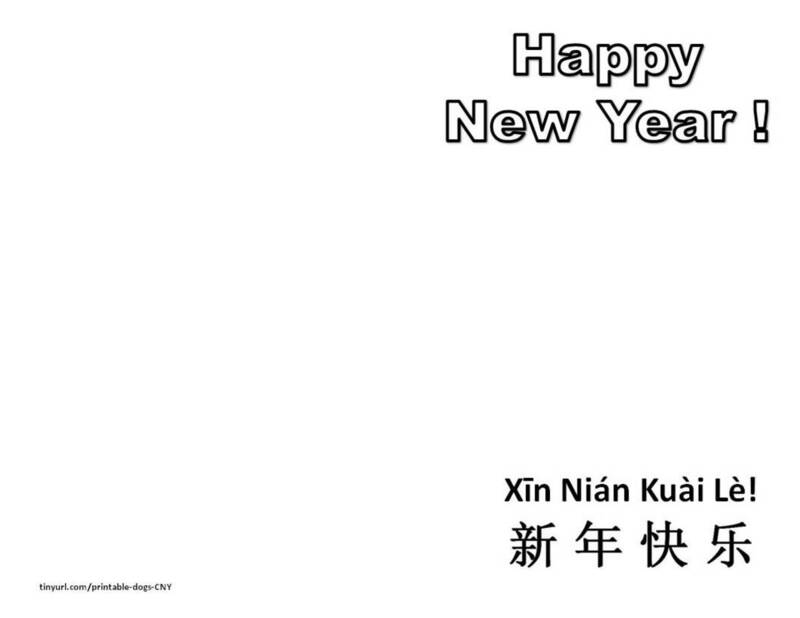 Print it on red paper, cut it out, and attach a ribbon for a hanging decoration. 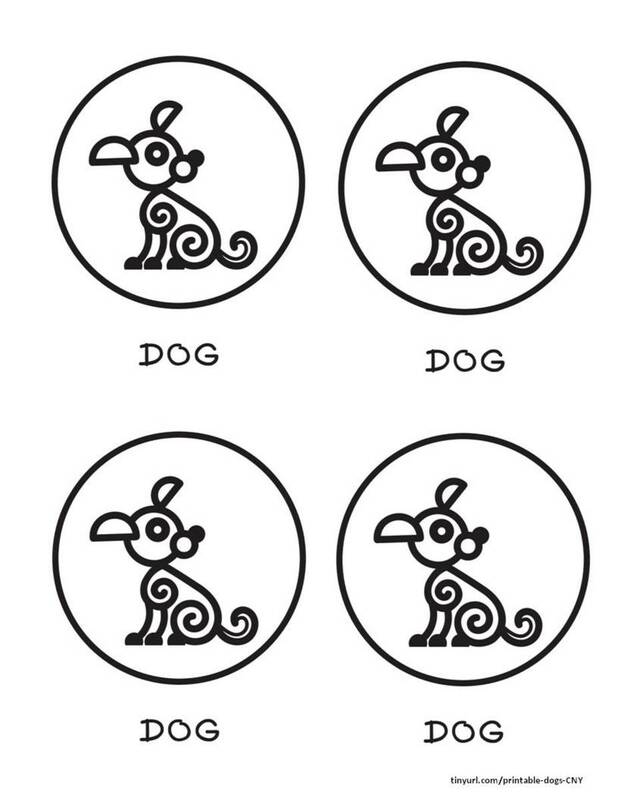 You can also place this circle next to a picture of a dog, so that the circle looks like a ball that the dog is playing with. 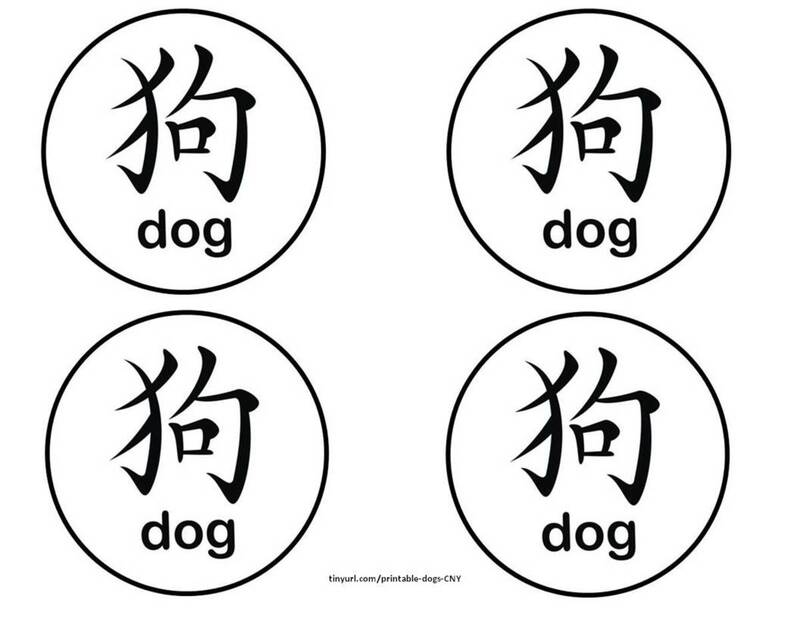 Circles with Chinese character for "dog" along with the English word. 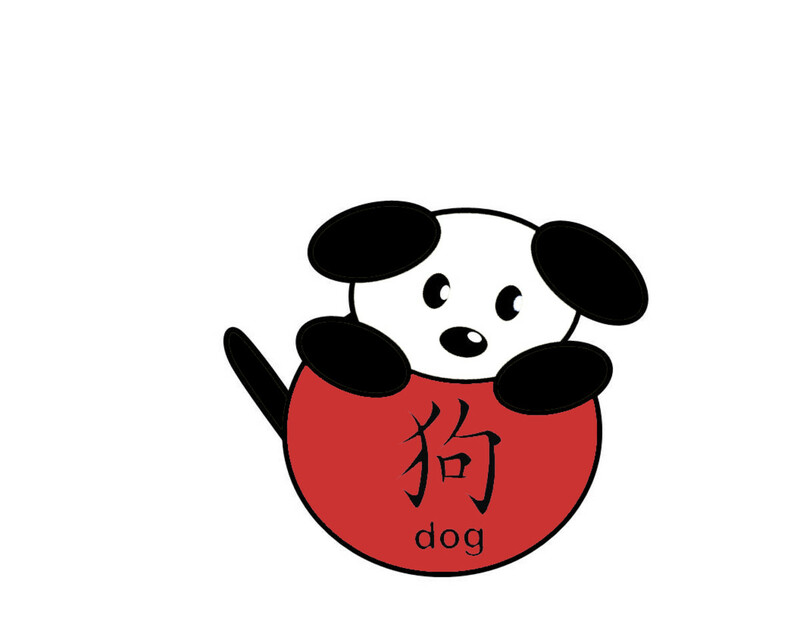 Here is a little dog made from oval shapes playing with a big ball. 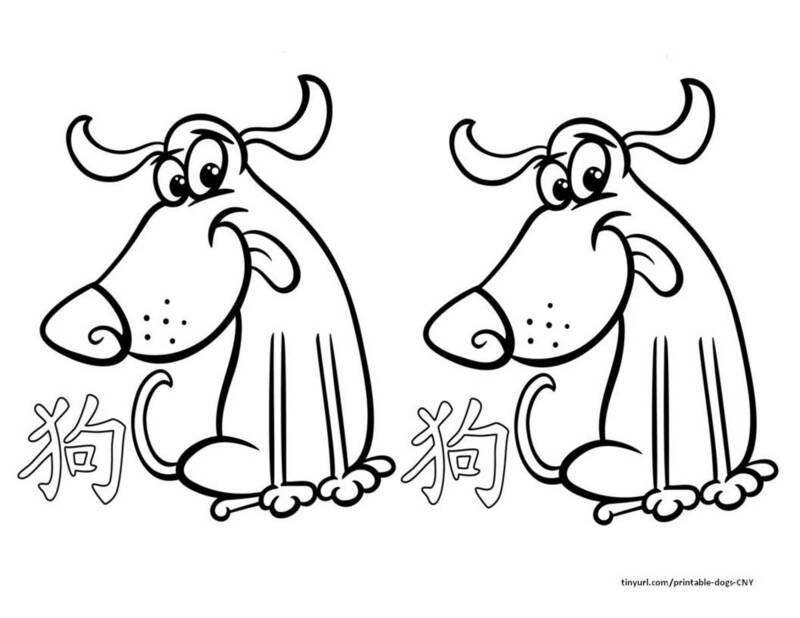 If you are in a crafting mood, here is a template for coloring, cutting, and assembling the little dog. 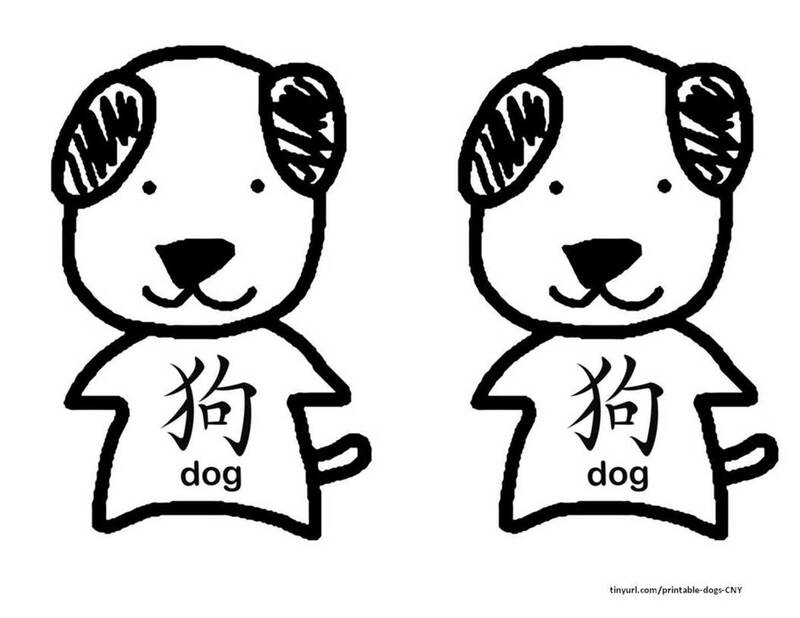 Here is a cartoon dog with the Chinese character for dog beside him. This fella can be used in a greeting card, or as a coloring sheet. 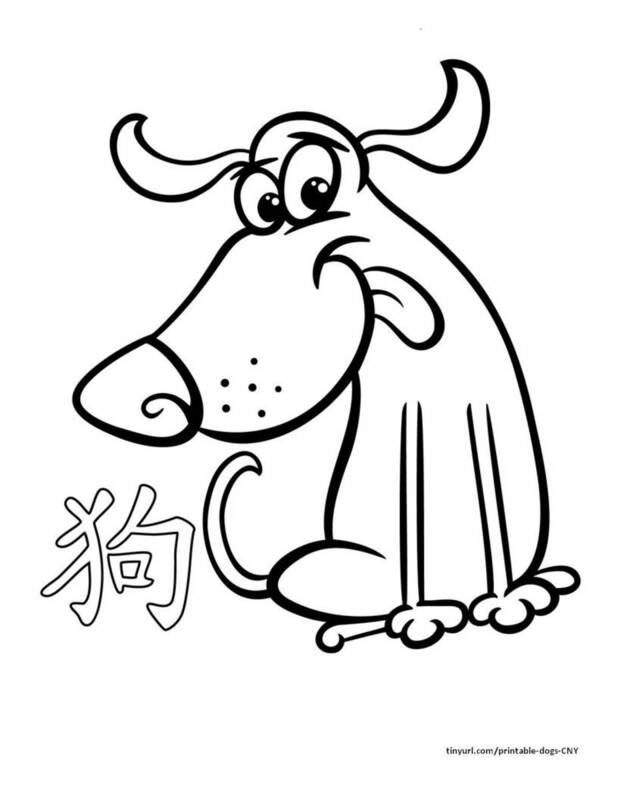 Cartoon with Chinese character for "dog"
You can have the children simply color this picture. 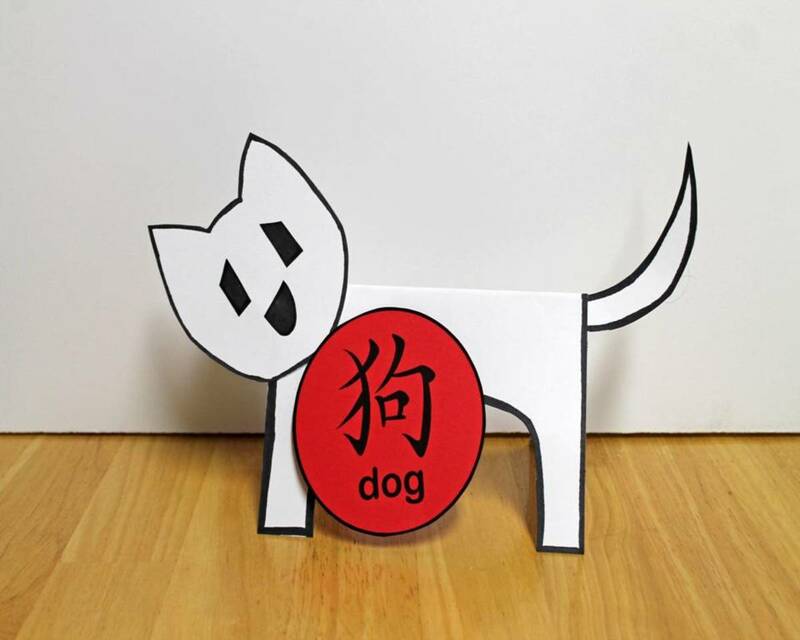 They can also cut it out and place it next to a picture of a dog, giving the dog his own lantern. 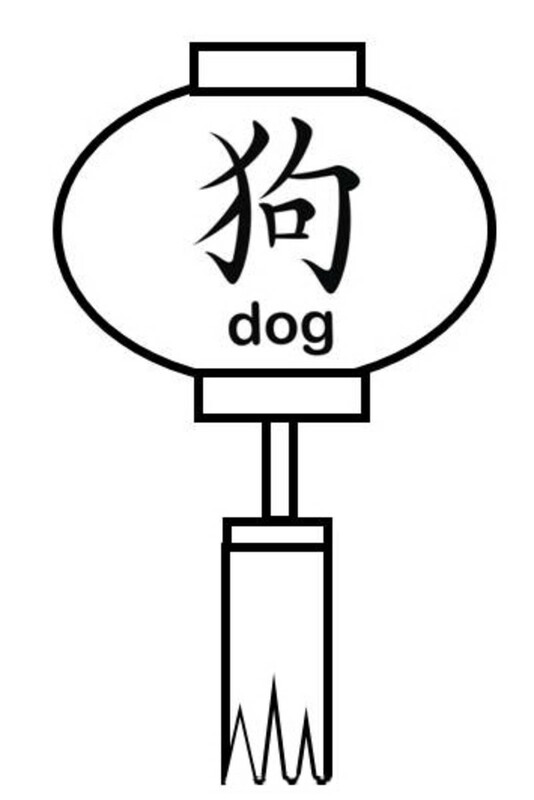 Lantern with Chinese character for "dog"
Here’s another little guy with a purple background and the character for dog. 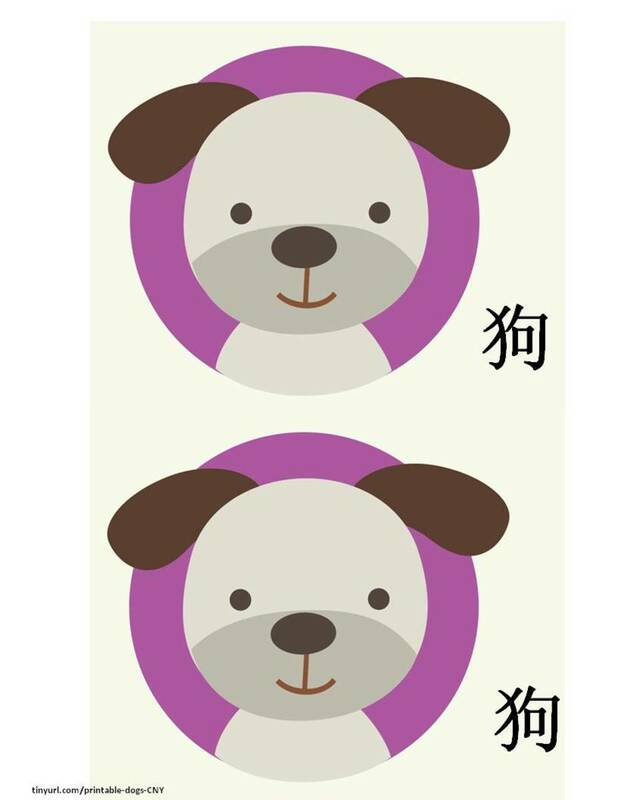 I’ve put two on one sheet to save space, but if you want only one, you can paste the picture into a program and then crop out the second dog. 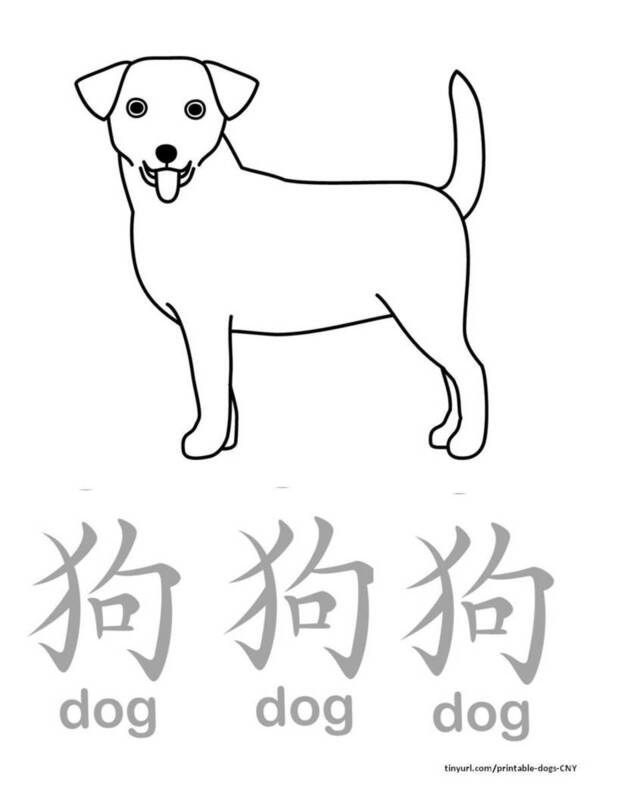 Below you will find the dog above, rendered as a coloring sheet. 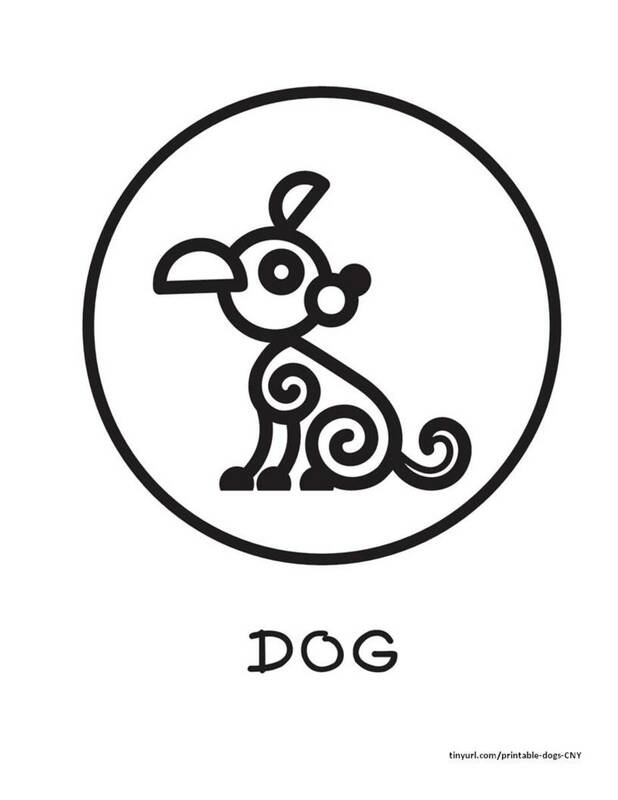 Here’s another take on depicting a dog. 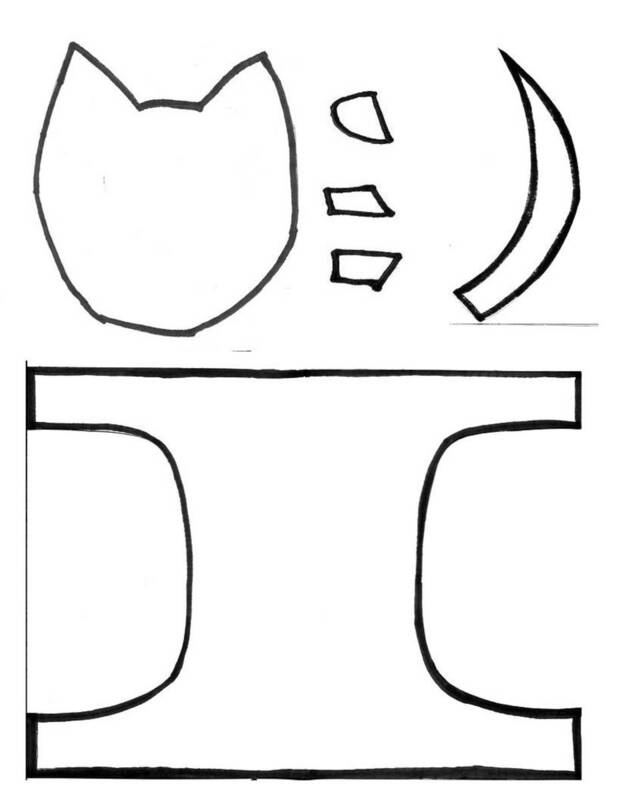 Children could cut these out and attach a ribbon to make a hanging ornament. They could also use the circles as bookmark toppers, or as decoration for any project. 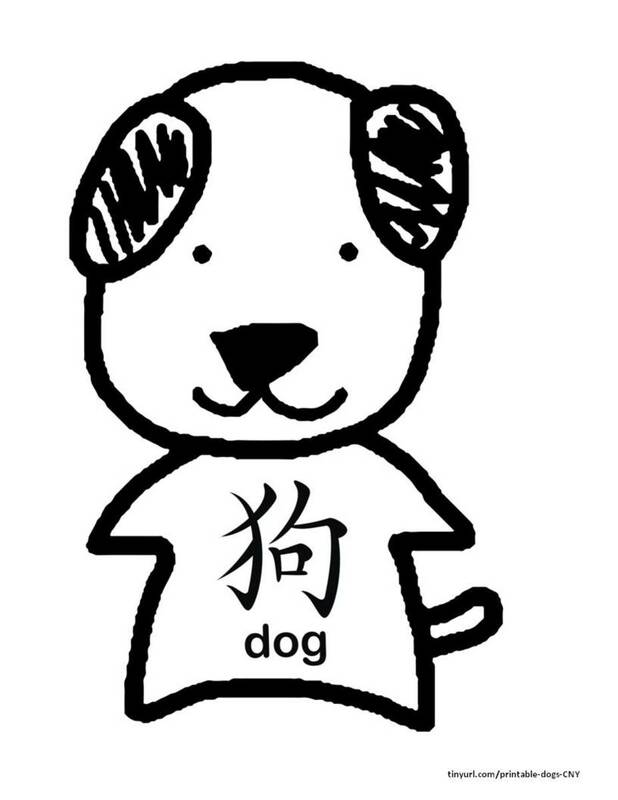 Below is a picture of a dog in which the little guy is wearing a long t-shirt that has the Chinese character for dog. 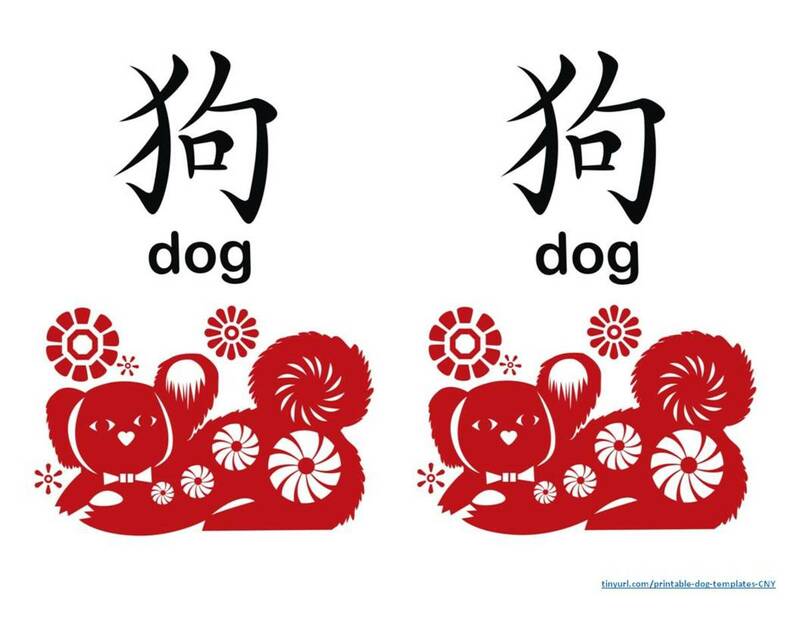 The Chinese have a long tradition of making intricate papercut images, and this is a version of a dog. 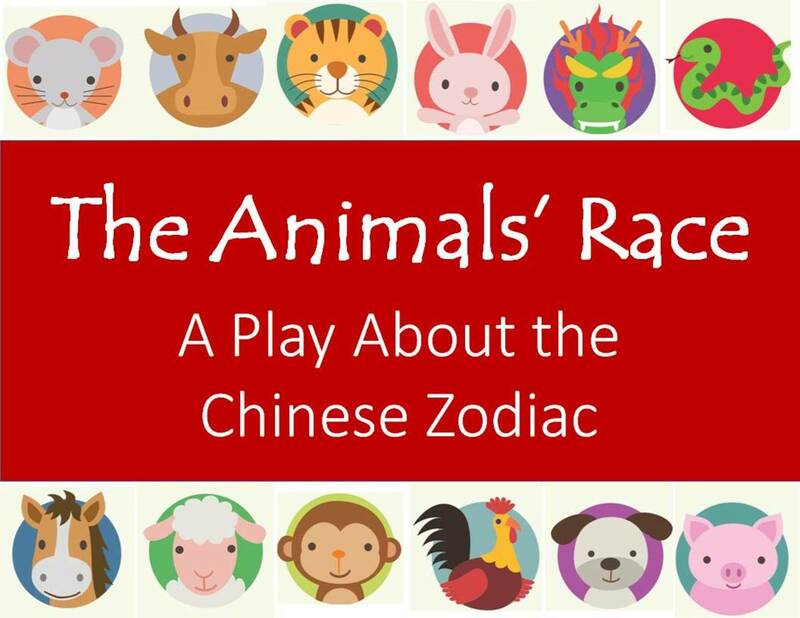 Papercuts are traditionally done in the lucky color of red, though some do use a variety of colors. 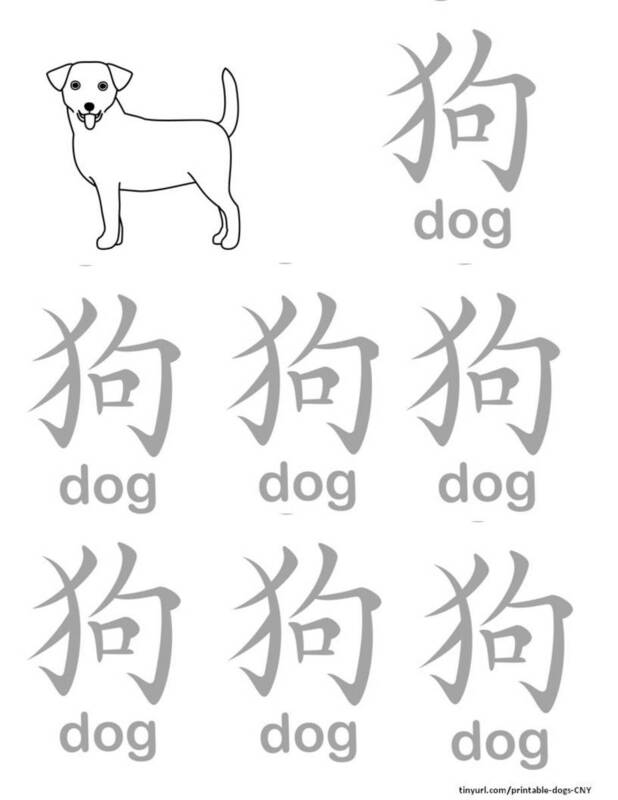 Here is a template for a dog that you can stand up. Just print it onto card stock; then cut out the body part and fold it down the center. Color in the facial features and glue them to the head. (You can just draw on the face, too.) Glue the head and tail to the body. 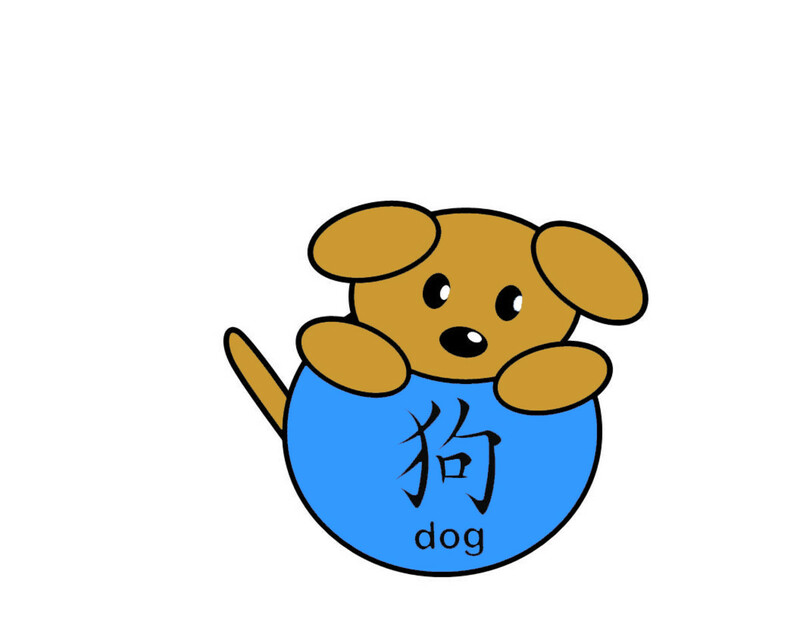 I included one of the little balls with the character for dog to complete the picture. 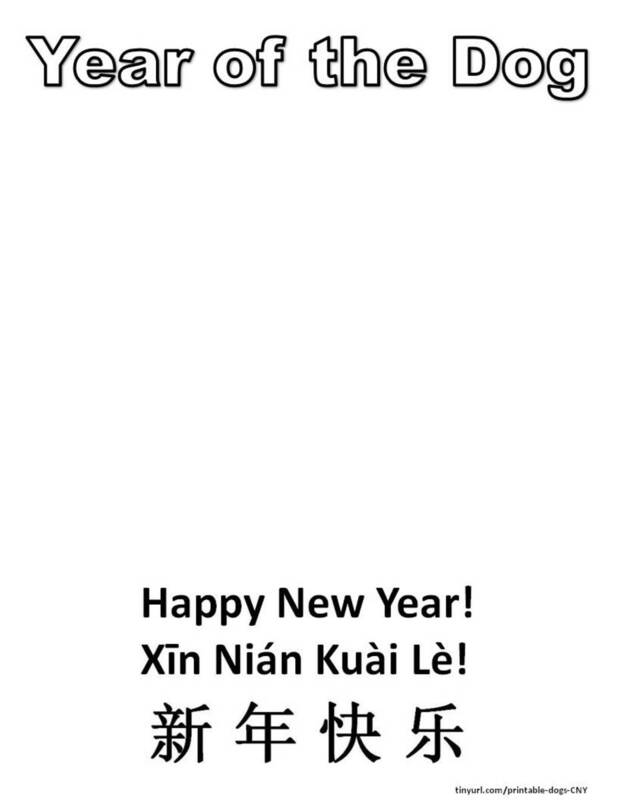 Here is a template which includes the Chinese words for “Happy New Year” in characters, and in pinyin, which is a way to indicate the pronunciation of the words. 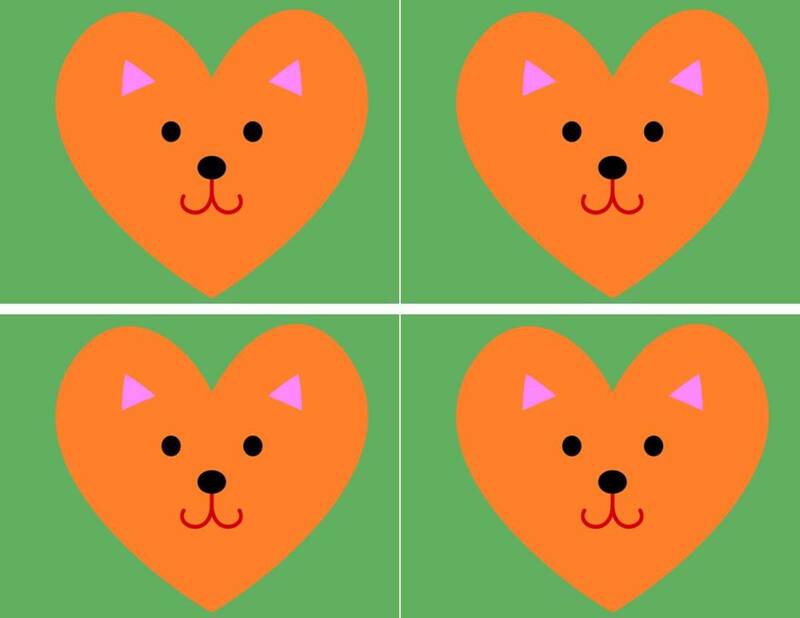 You can cut out any other of these dogs I included and glue them to the center of the sheet. 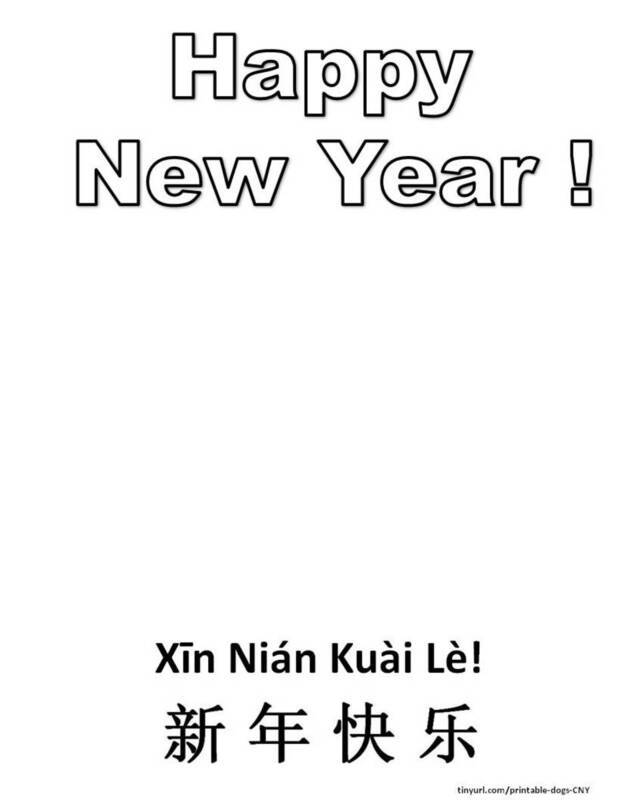 If you print this sheet on card stock, it can double as a full-page greeting card. 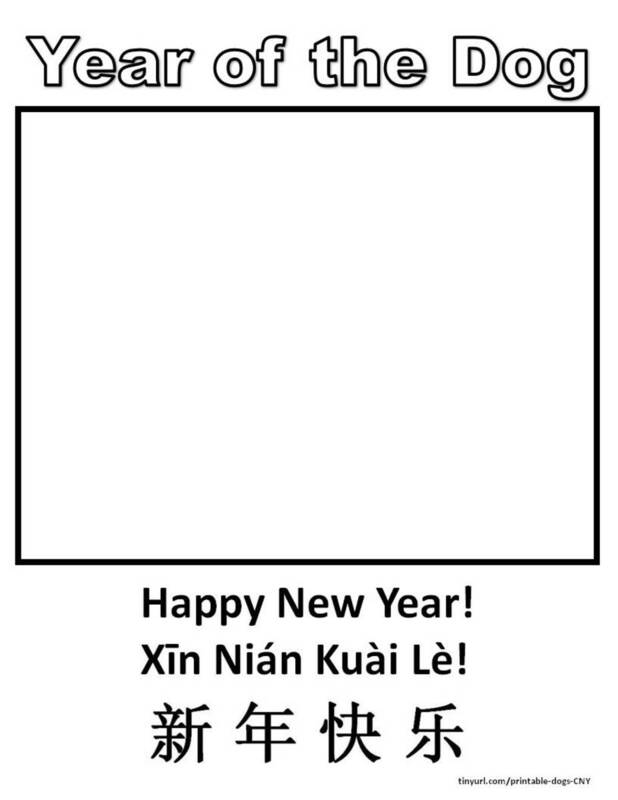 Here is another template with the words “Happy New Year!” in English which can be used in the same ways as the template above. 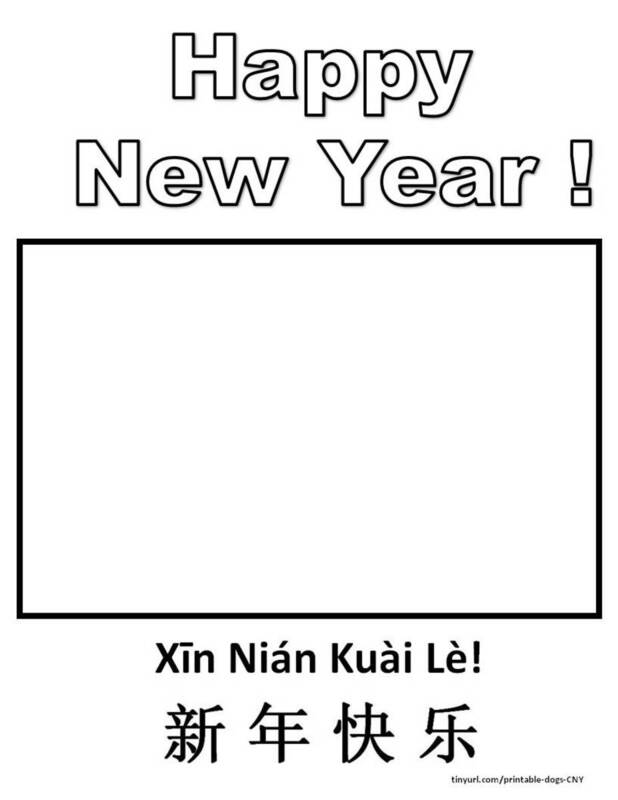 Print this template out on 8.5 X 11 inch sheet of card stock, then fold it in half. You can use some of the smaller patterns here to cut out and glue to the center of the front of the greeting card. 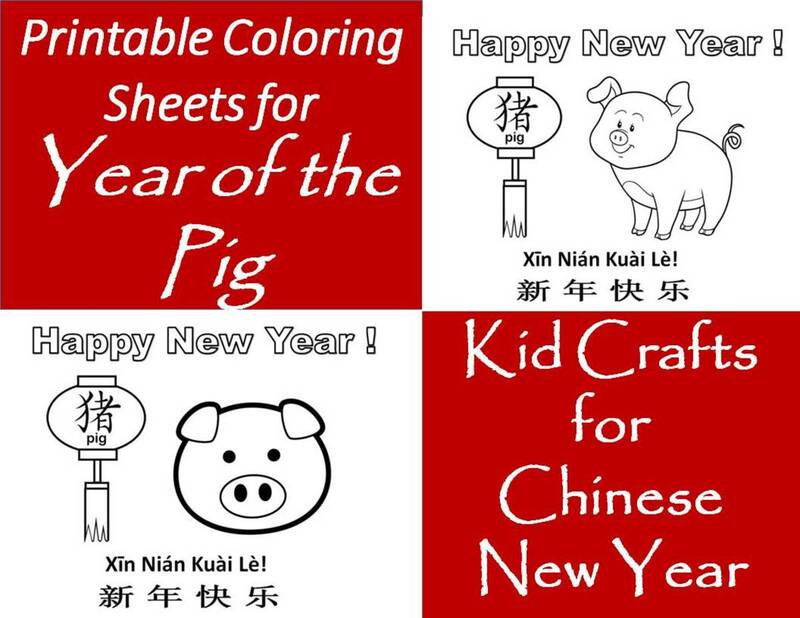 If you would like some ready-made greeting cards, and coloring sheets, click on the links below. Each of these sites has images based on many of these graphics that are ready for you to print and go. 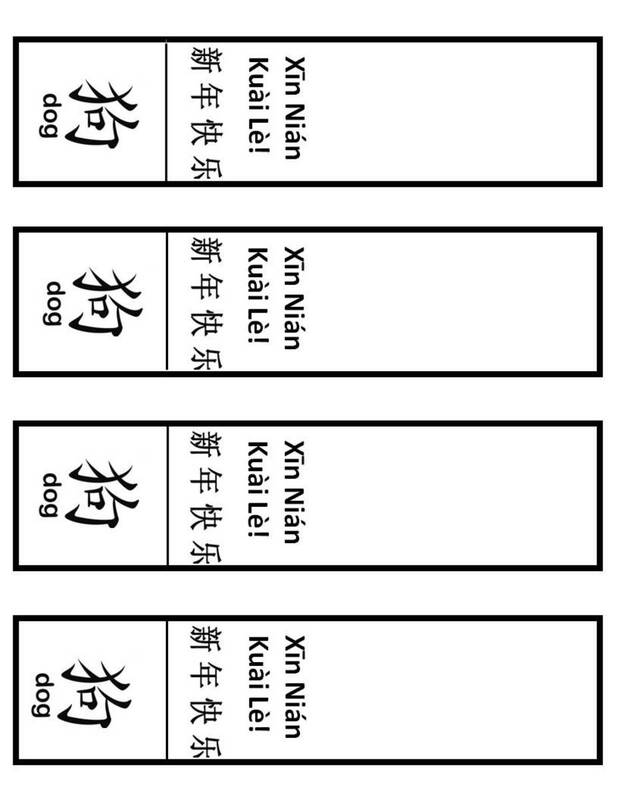 Here is a template for 4 bookmarks. 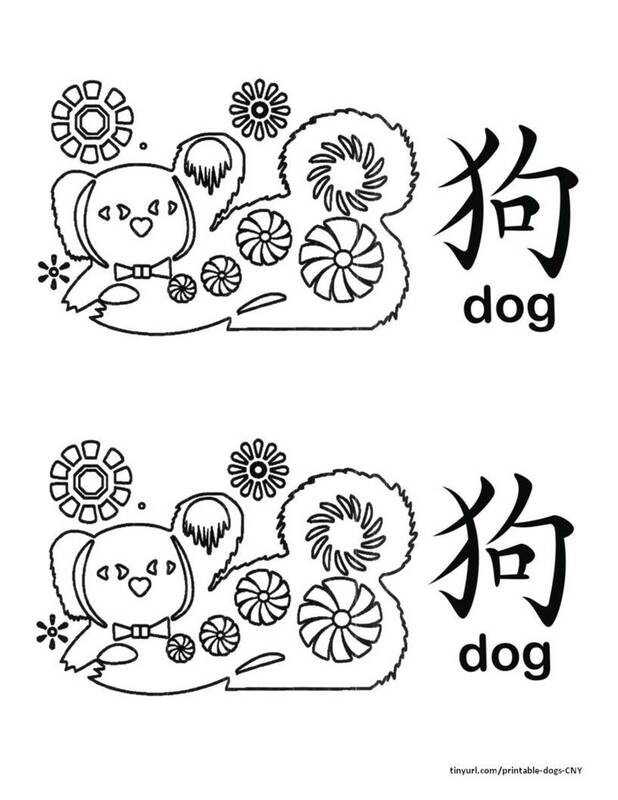 Print them out on card stock, and then use one of the patterns above to make a dog to put on top of the bookmark. 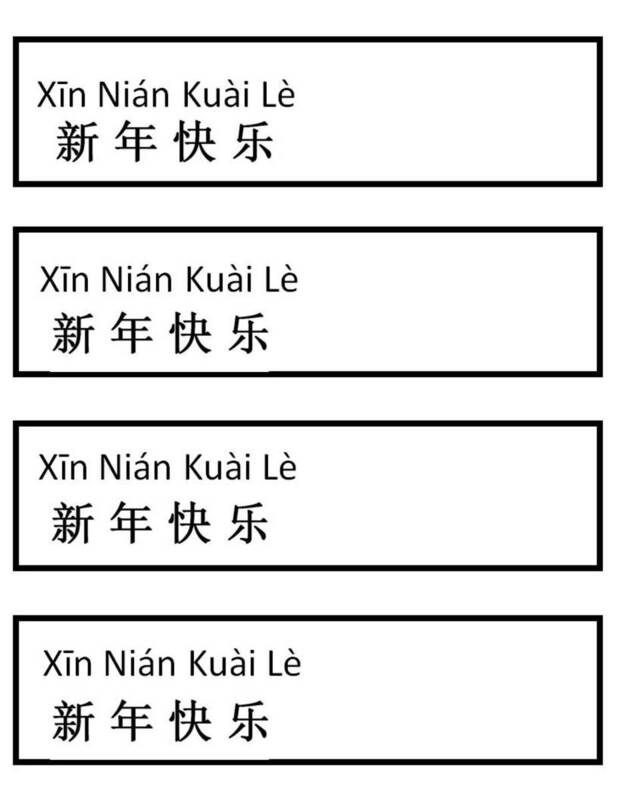 Bookmark templates. Happy New Year is written in pinyin and Chinese characters, along with the character for "dog." Thank you very much! I will try it! Sure, you can change the English to German. It may be a little tricky though, because everything is loaded as a photo. If you can type the words you want and then convert them to a photo, you can paste them over the top of the English words. Can i change the english word to german? Thanks! Fantastic help for non artist! !